Instead, an ‘ionic wind’ of colliding electrically charged air molecules provides the thrust needed to make it fly. 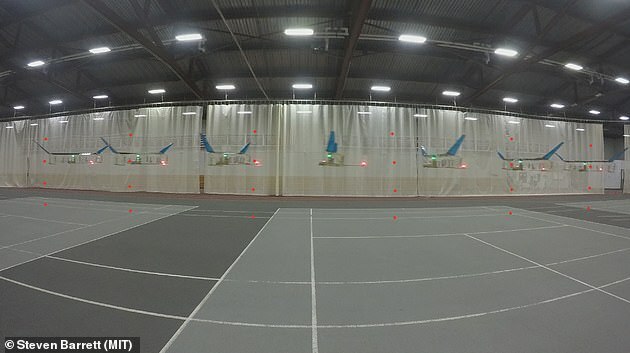 It could eventually prove to be the future of air travel, bringing an end to the noise nightmare of living under a flight path or close to a major airport. 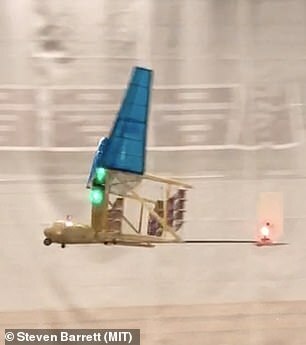 And unlike conventional planes, it also produces no greenhouse gases or other pollutants. 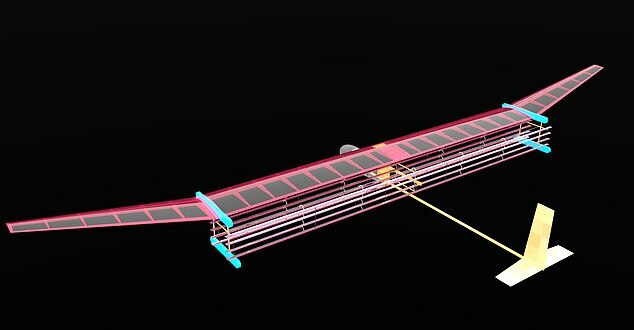 The test aircraft carries an array of thin wires strung beneath the front end of its wings. These wires, which carry a positive charge of 20,000 volts, strips electrons, which have a negative charge, from air molecules. The cloud of positively charged molecules left behind rush towards negatively charged wires at the back of the plane. 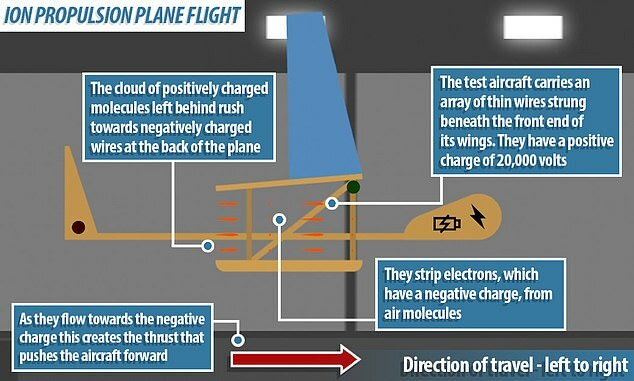 Lead researcher Dr Steven Barrett, from Massachusetts Institute of Technology in the US, said: ‘This is the first-ever sustained flight of a plane with no moving parts in the propulsion system. 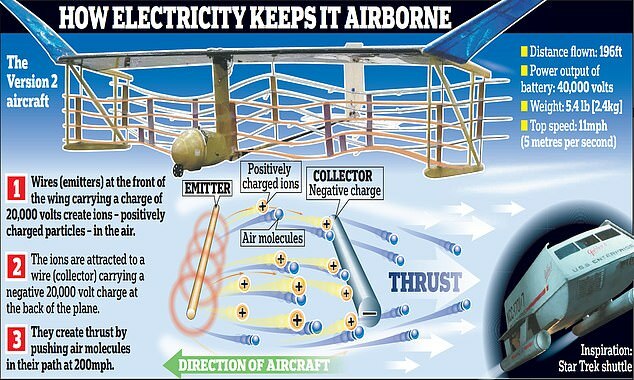 ‘This made me think, in the long-term future, planes shouldn’t have propellers and turbines,’ said Dr Barrett. Dr Barrett said: ‘It took a long time to get here. 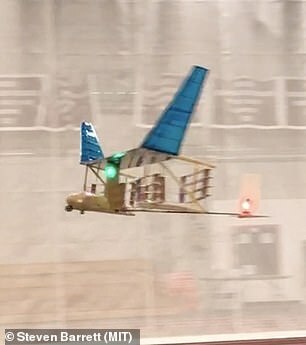 Going from the basic principle to something that actually flies was a long journey of characterising the physics, then coming up with the design and making it work.